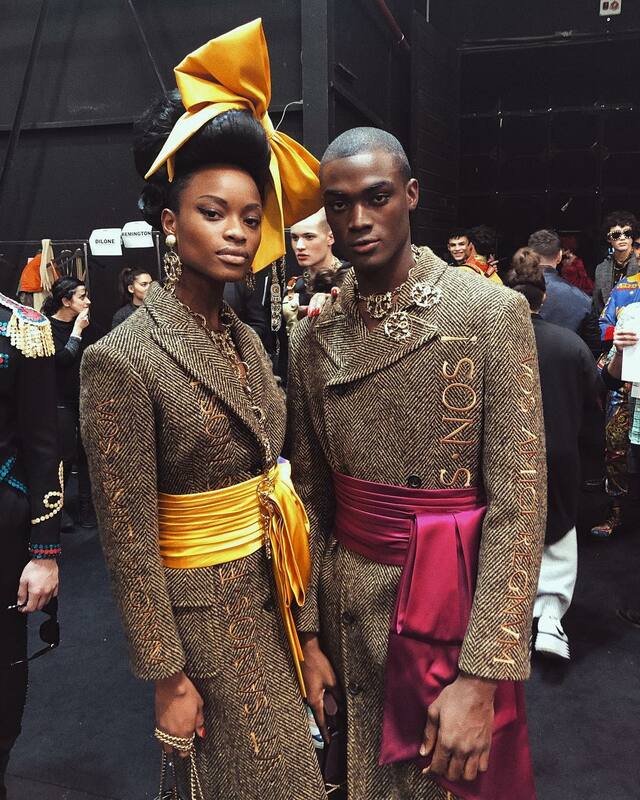 We spotted two of our favorite Nigerian models; Mayowa Nicholas and Davidson Obennebo backstage in Rome at the Moschino Men’s and Women’s Pre-fall 2019 show! The duo won the Elite Model Look Nigeria contest in 2014 and 2016 respectively and have since then advanced in the industry featuring in top campaigns, magazine editorials and walking for some of the biggest names in fashion. 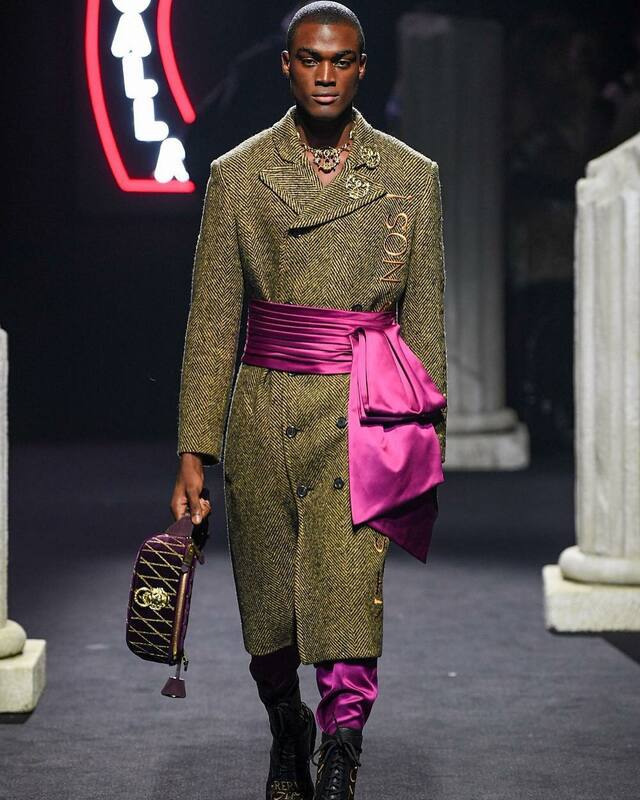 Themed “Moschino Roma”, the show was inspired by the characters of Federico Fellini’s greatest films including Satyricon, 8 ½, Casanova, Roma, and La Dolce Vita. Models walked down the runway adorned with jewels, tarnished metallic gold embroidery, high wigs and other dramatic props that stayed true to the aesthetic of the collection. Couldn’t Have asked a better way to start off 2019. Thank you @itsjeremyscott@carlynecerfdedudzeele @pg_dmcasting@samuel_ellis @arthurmejean And to all the lovely models that made this show a blast,thank you. ?????? The BN Style Recap: The 21 Stories BellaStylistas Are Reading Right Now!